Technicolor Fabrics has the perfect song for Hipsters and Hippies of all ages who want to getaway from the #toxic city life. Vacationing is 200% less stressful if you don’t have to worry about ruining your man bun or getting that check shirt soaked according to Technicolor Fabrics’ latest music video “Globos” (globes or balloons). 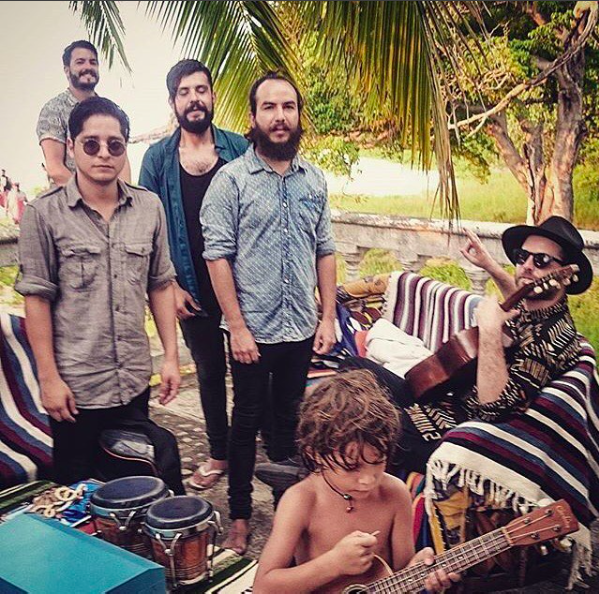 It is the second music video of the Mexican alternative quintet’s third album, Bahía Santiago (Santiago Bay), which was released on June of this year. Resembling a getaway-to-Mexico ad, the stark contrast of the band’s urban fashion and the kids’ hippie-beach outfits paints a paradisiacal castaway picture for our screen-dependent generation. Yes, you can still have WiFi while living in a palm tree-made tent in the coast. And it is still acceptable to hop barefoot or in Doc Martens in the island as long as it’s slow motion. “Globos” is a summer comfort-food track that tunically captures the tranquil and secluded intermissions we get during the chaotic fest-peak season. The accentuating electronic guitar buzz weighs us down on the ground, placing us in a laid-down atmosphere where we tilt our heads skywards and let the contemplative choruses drive our daydreaming sessions. Follow Technicolor Fabrics @technicolorfab and Facebook.